Archaeologists are slowly peeling back the mysteries surrounding the Casas Grandes culture of Mexico, although most of that work has focused on the principal site of Paquimé and its immediate vicinity. In this volume, Jane Kelley and her colleagues probe the southern edge of the Casas Grandes culture area—an area little explored by archaeologists until now. The book provides the first solid foundation for research on prehistoric west-central Chihuahua. 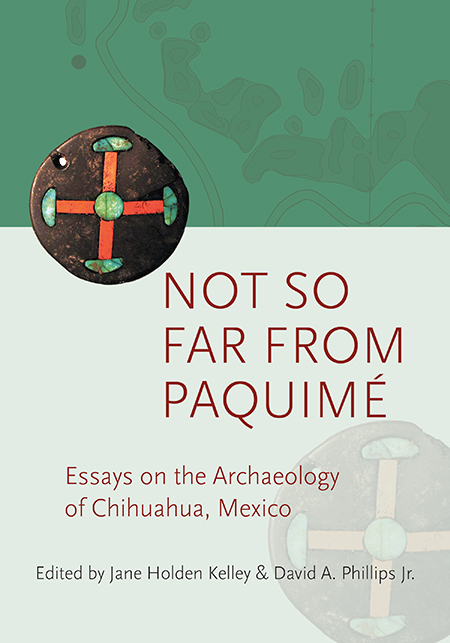 Readers will find descriptions of the southern branch of the pottery-making, village-dwelling farmers of the Casas Grandes culture and learn that, as Paquimé became the most complex site in the region, the southern Casas Grandes people mostly held back from the “Paquimé revolution.” The studies presented here confer a more nuanced understanding of the tremendous diversity within one of the region’s great prehistoric cultures, an area that extends unbroken from deep in Mexico north to central Utah. Jane Holden Kelley (1928–2016) joined the newly formed Department of Archaeology at the University of Calgary in 1968 and held multiple appointments there until (and after) her retirement in 1994. David A. Phillips Jr. is the director of the Maxwell Museum of Anthropology and a research associate professor in the Department of Anthropology at the University of New Mexico. Phillips has served as a principal investigator and program manager at the Museum of New Mexico and in the private sector.